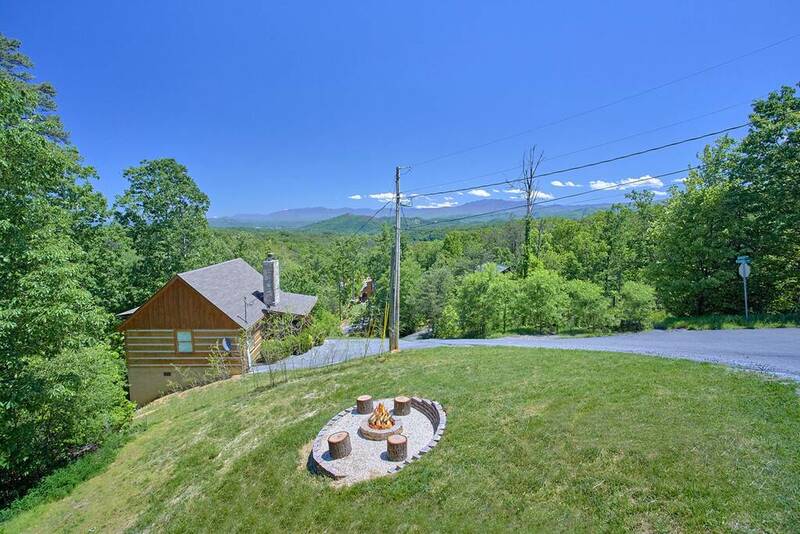 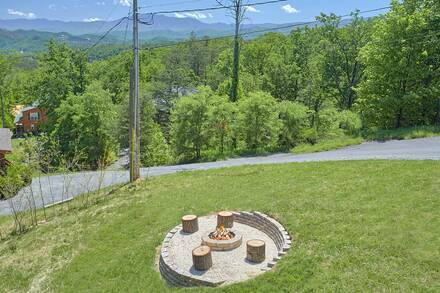 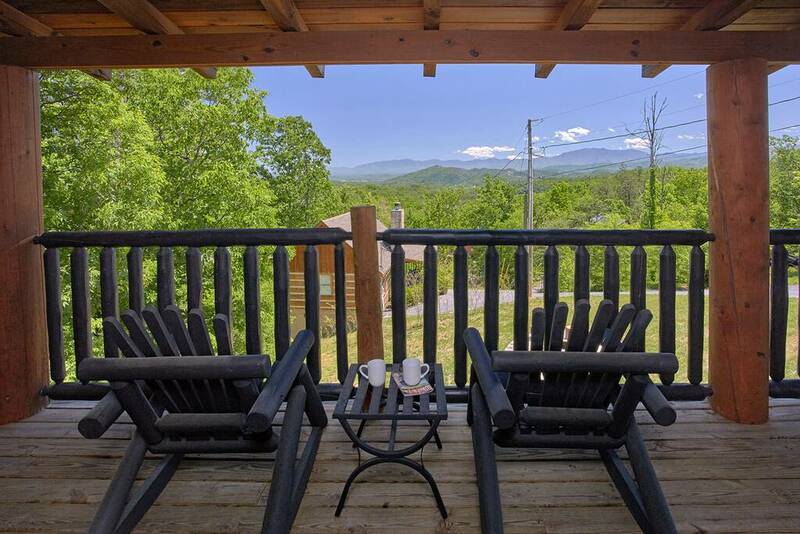 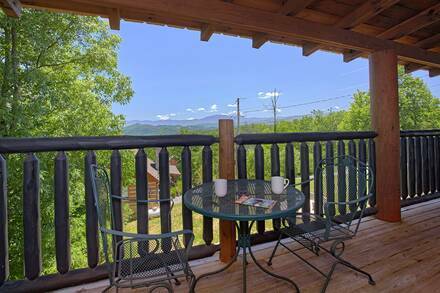 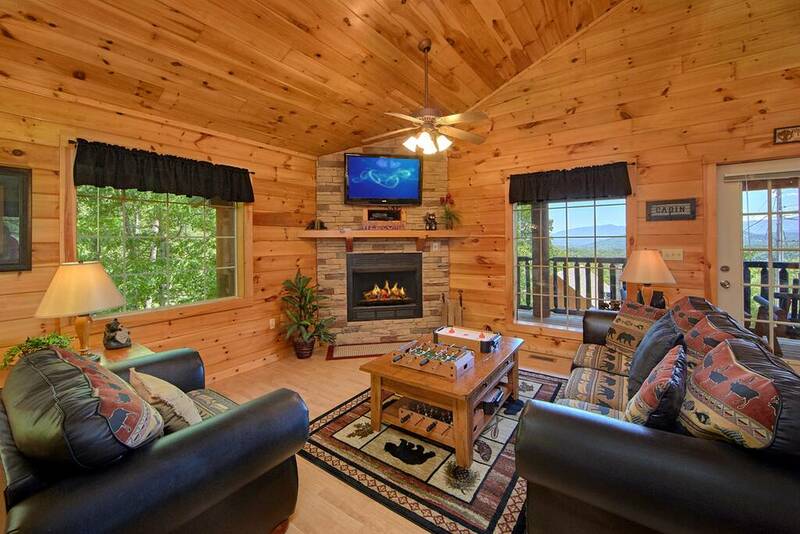 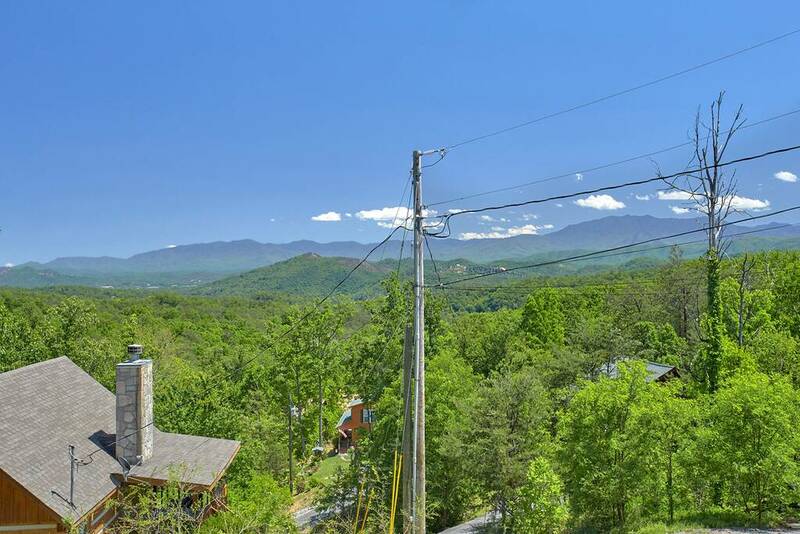 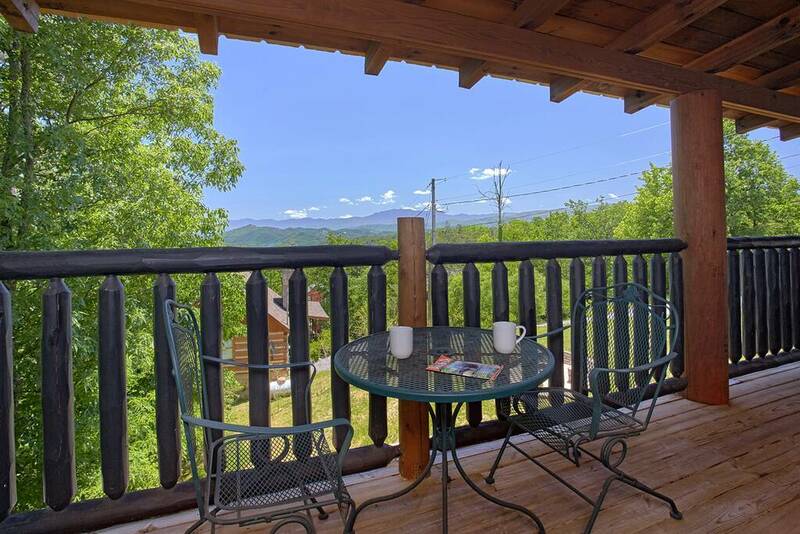 AMAZING MOUNTAIN VIEWS — Enchanted View is a beautiful one bedroom luxury log cabin with a Spectacular View of the Great Smoky Mountains. 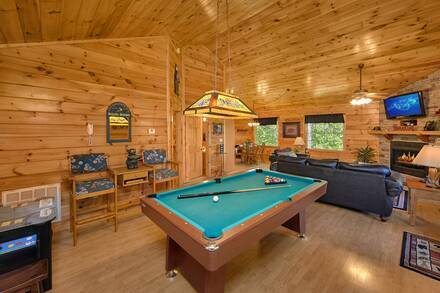 The open floor plan featuring a fully equipped kitchen, wooden dining table with four chairs and the living room offers a Romantic Stacked Stone Fireplace, Large flat-screen HDTV, DVD, Internet/WiFi and plush leather sofas, a game room with Pool Table, Stereo, Pub Table with chairs and a arcade game with 60 different games. The master bedroom has a King bed with a Flat Screen TV and a full bath. 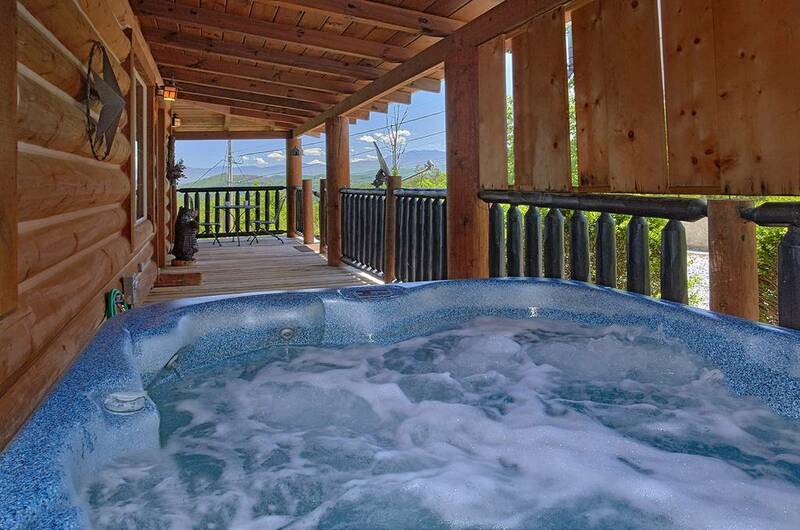 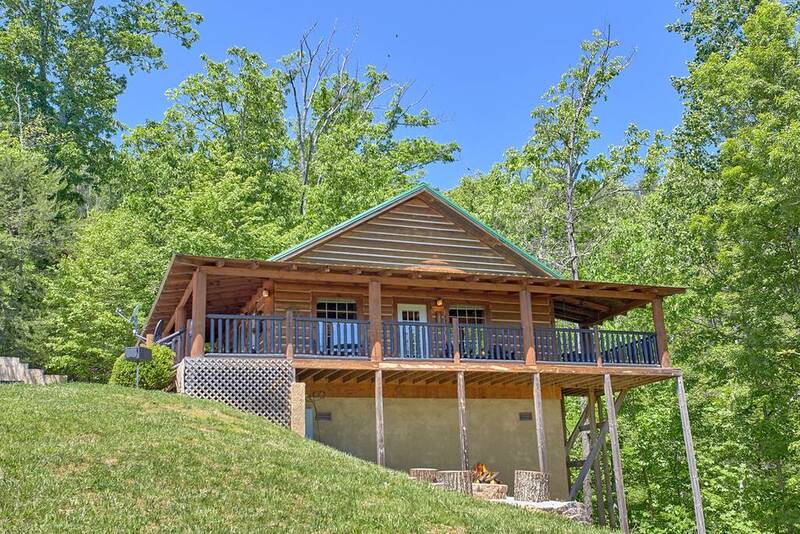 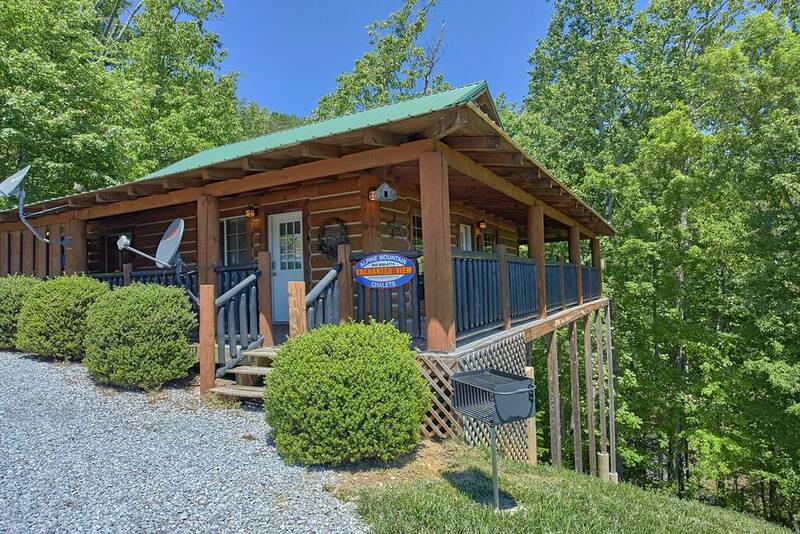 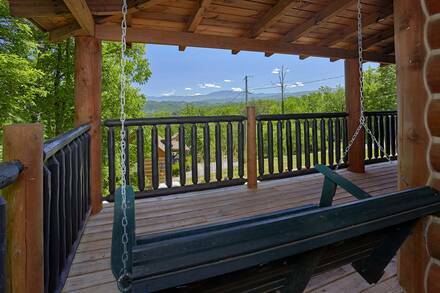 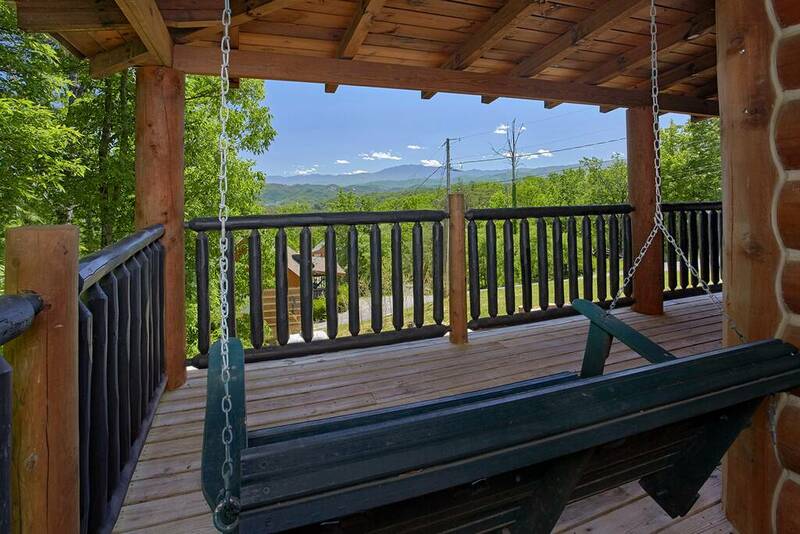 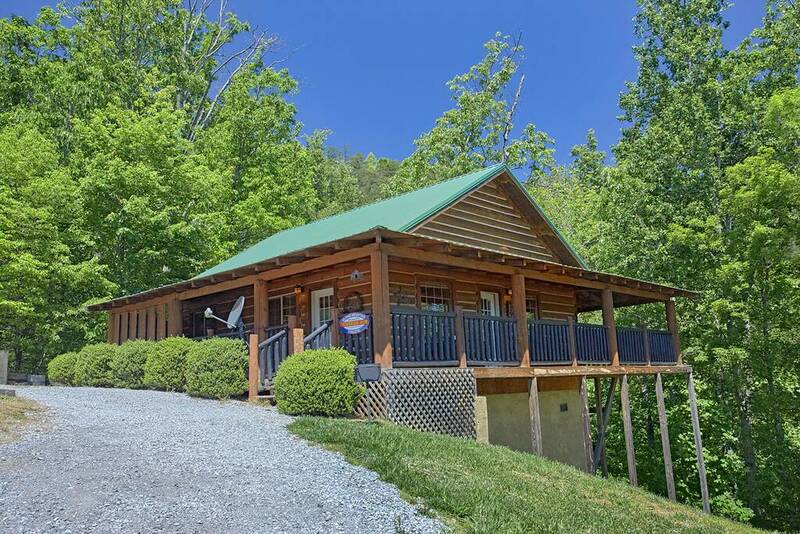 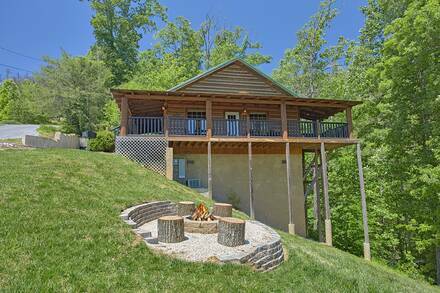 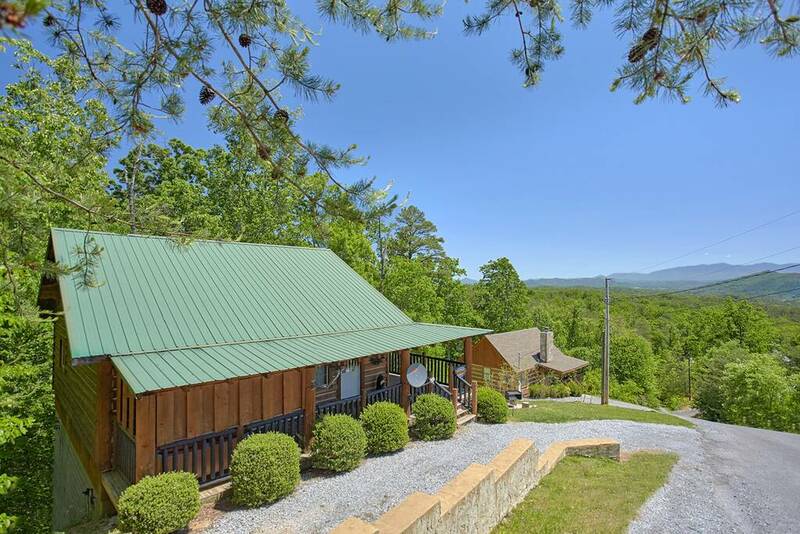 You will love sitting outside on the large wrap around wooden deck in the comfy log rockers and swing - or in the big, bubbling hot tub perfect for watching the amazing sunset over the mountains or just gazing at the evening stars. 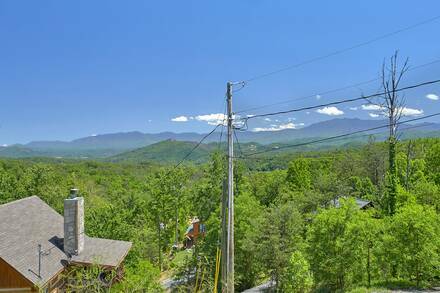 You can also see the Dollywood Fireworks each night at 9:30 pm from the deck during the summer and is absolutely awesome! 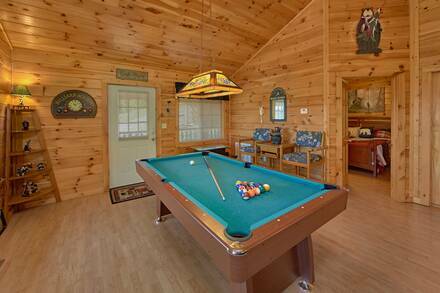 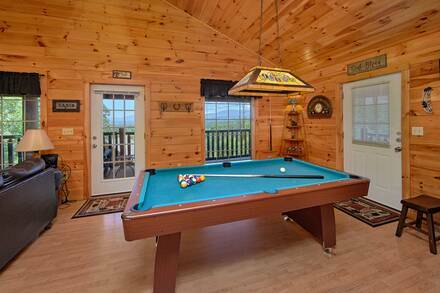 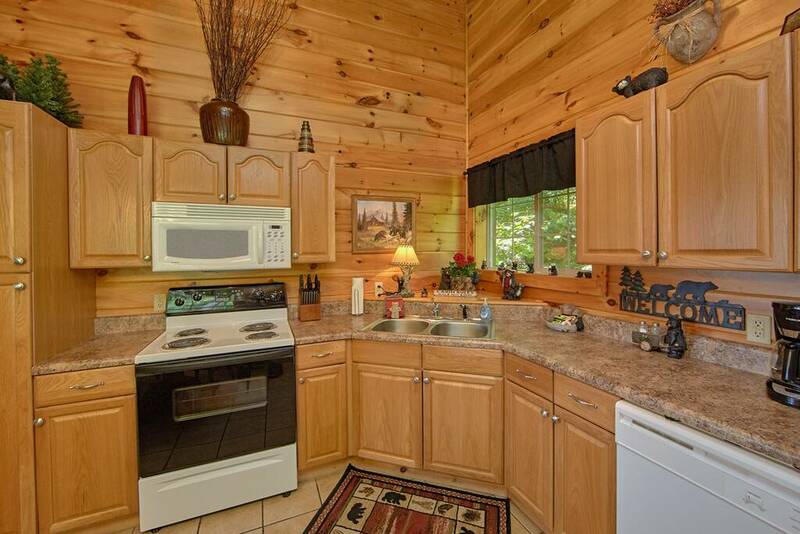 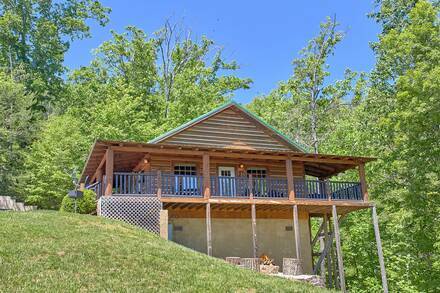 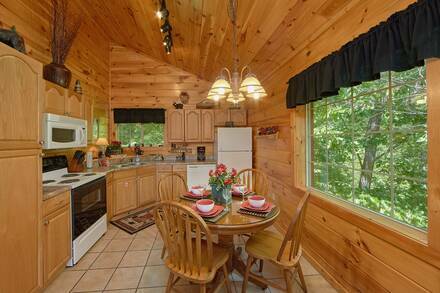 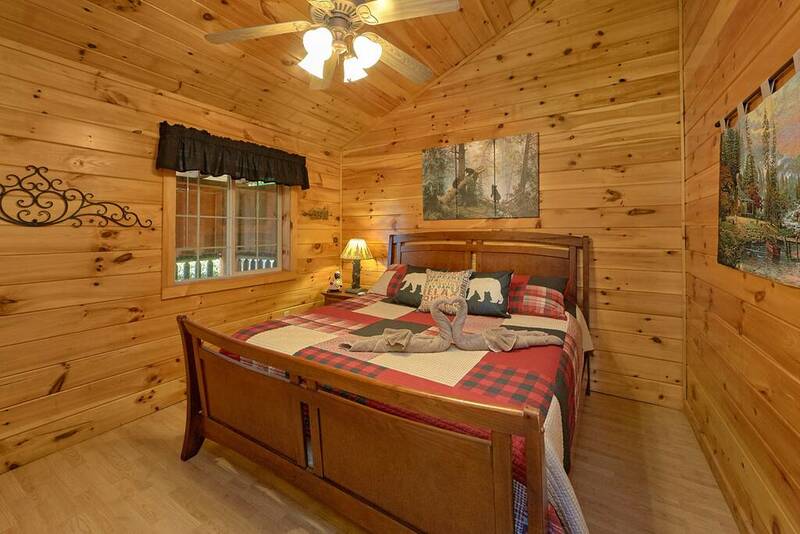 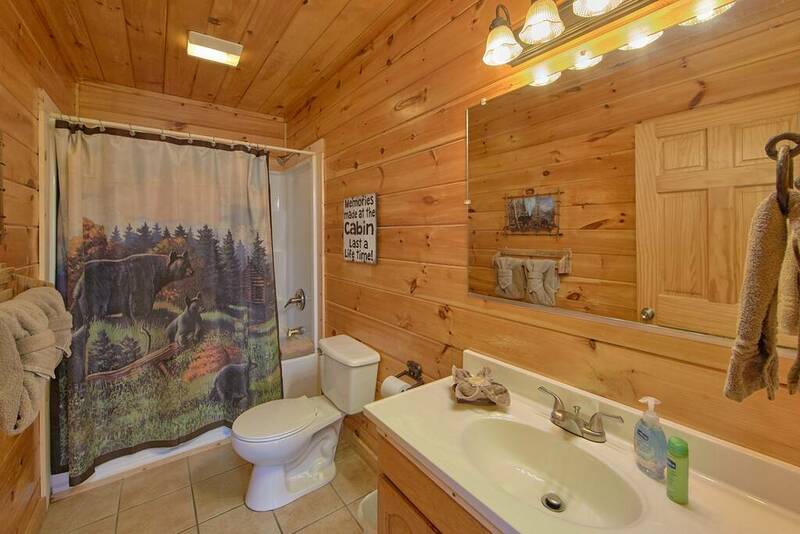 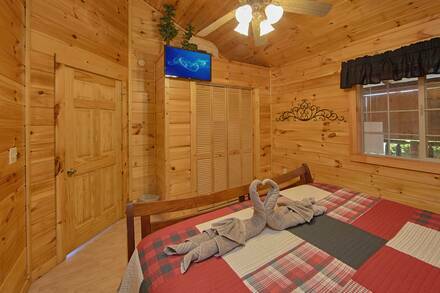 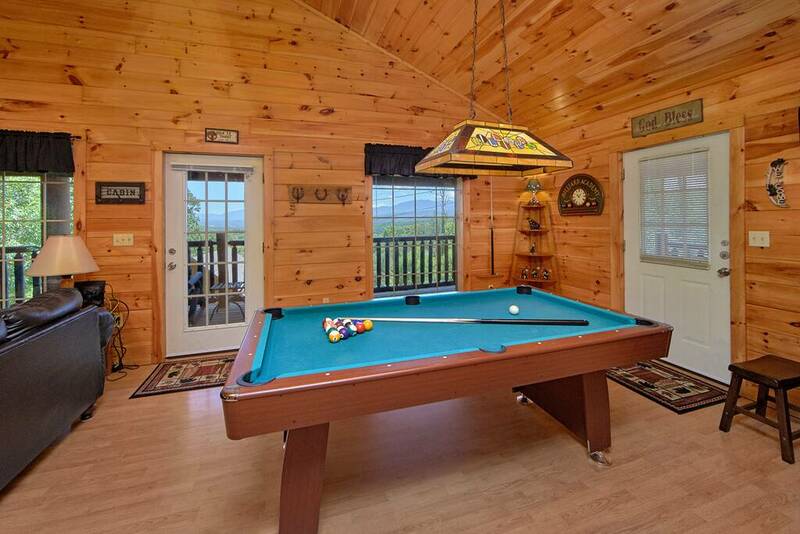 This PREMIER log cabin is the perfect place for your honeymoon, special anniversary, or romantic get-away. 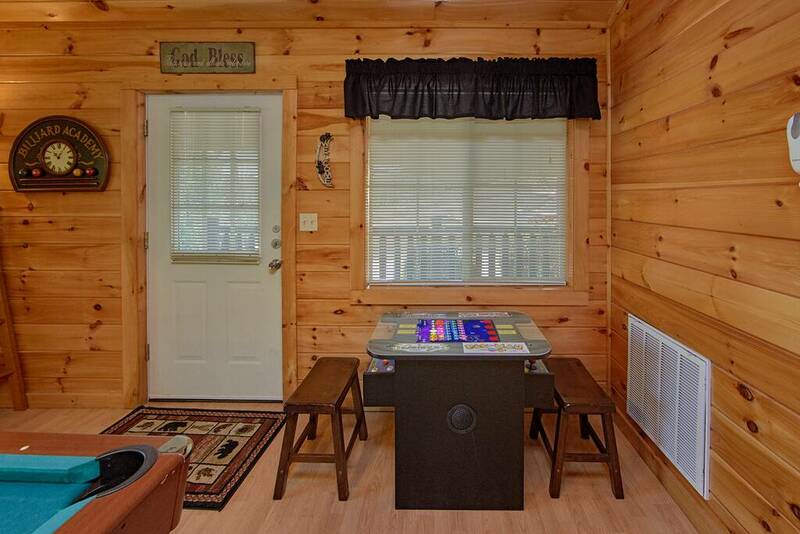 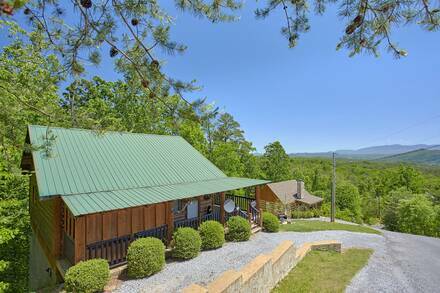 PLEASE don't hesitate -- this cabin will book up fast! 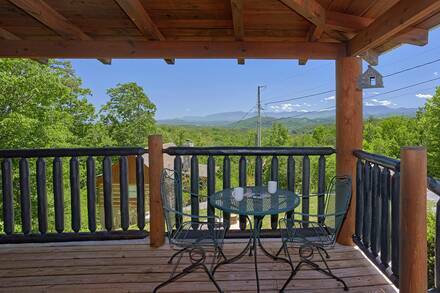 Call us or book Enchanted View online today!